Is this the future of Noh Theatre? It will take me a few days to digest what I saw yesterday night at Purcell Room, Southbank Centre, London. 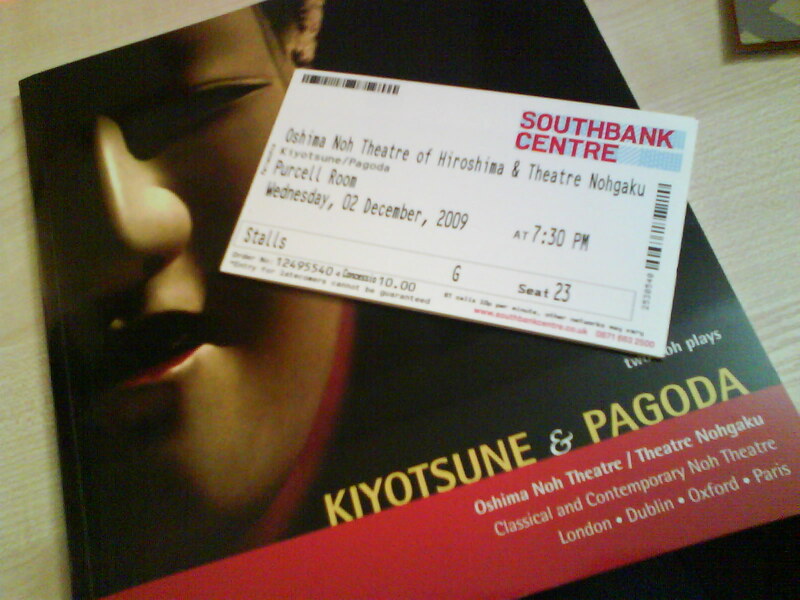 Theatre Nohkagu’s double bill of Kiyotsune and ‘shinsaku eigo noh’ Pagoda, written by British playwright Jannette Cheong and Richard Emmert has been a rich experience, and I already know I will want to come back to my notes again and again later. I would rather not give a review of the play, as it would be a limiting practice for something so formative. Aesthetic evaluation apart, the central question rising is ‘what is Noh’? Previously, in SOAS canteen, Emmert and I were talking about the nature of Noh from the perspective of the foreigner, and the purpose and future of Noh in English. The mind immediately goes to European opera, whose language was transformed from Italian into French, English, German, etc. We now accept all these languages as if they legitimately belonged to the opera world. 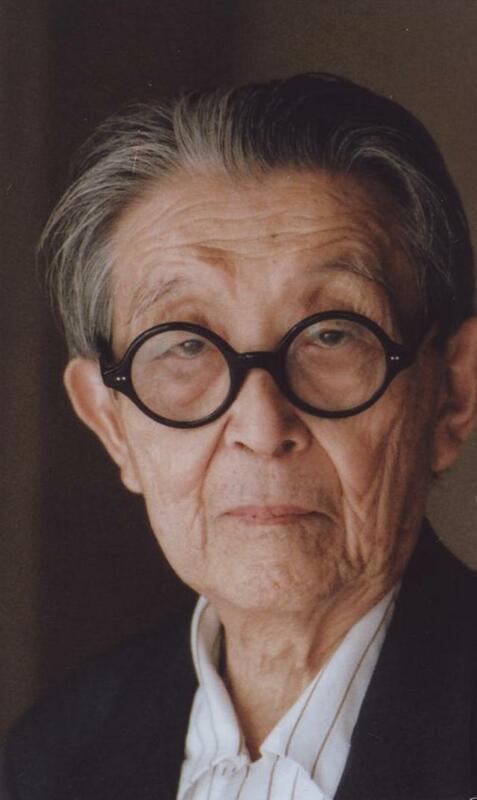 My teacher Udaka Michishige was never involved in such transcultural Noh productions, however his judgment on postmodern experiments is rather positive, as they might be seeds that cross-fertilise a theatre form on the verge of stall. Experiments done in the West might well be source of inspiration for Japanese-based performers. Yokomichi Mario’s heavily debated Takahime, (re)appropriation of Yeats’s At the Hawk’s Well, already provided an example in the 1950s. 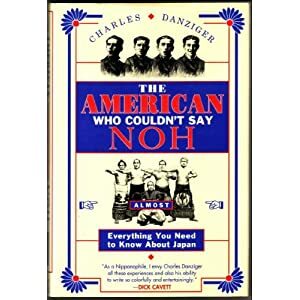 It is pointless to discuss the value of Noh in English on the basis of personal taste as what floats on the surface of aesthetic judgment is not meant to stay. 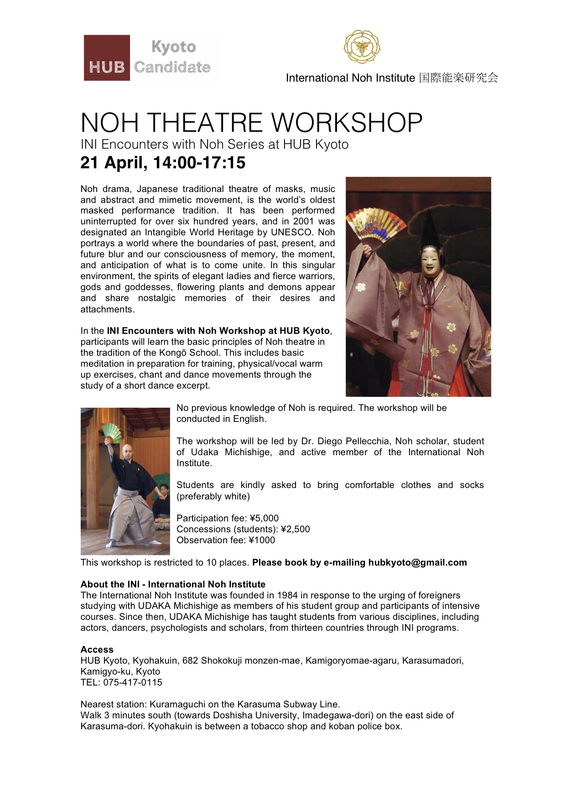 Let us look at what this new way of writing and performing Noh is telling us, about how issues of authenticity and cultural ownership have to be re-examined. Whose Noh was that? Will Noh be multilingual in the future? Probably its performers will be. 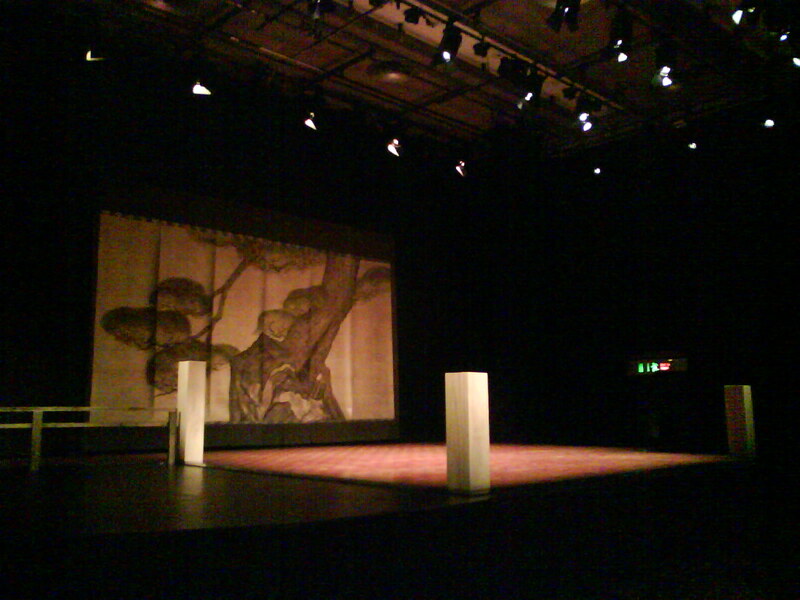 Posted on 04/12/2009 27/03/2010 Categories ResearchTags abroad, English language, review, shinsaku noh, Theatre NohgakuLeave a comment on Is this the future of Noh Theatre?